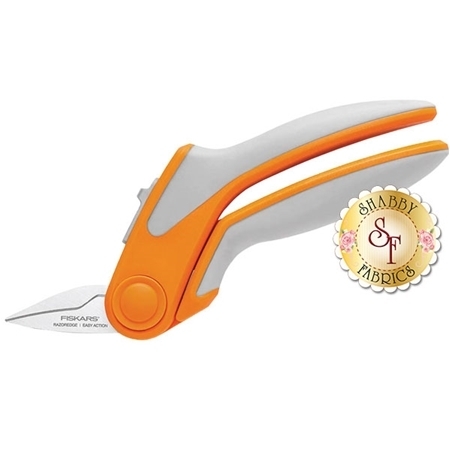 The Easy Action Rag Quilt Snips are designed for more accurate and comfortable tabletop cutting with their unique handle shape and gentle spring action open. The handles are contoured for the most comfortable hold, with softgrip touch points for increased control. Premium grade stainless steel blades cut cleanly, stay sharp, and grip even slippery material for mistake free cutting!